Think about this, a customer calls in to make an order from your company. Your customer service rep fumbles around due to old, outdated software that’s slow and not meant for a growing business. They confirm the order would be ready and shipped by a certain date, only to later find out that an integral piece to the order is out of stock. This is not only frustrating to you, but think about your customer. In a noisy marketplace, they can easily move on to the next guy who can get their order right. Yet in today’s business culture, 56% of small businesses want to improve their customers’ experience and retain them. 45% want to grow their customer base. However, consistent inventory mistakes due to lack of inventory management is not just an inconvenience, it costs you customers. It doesn’t have to happen to you! 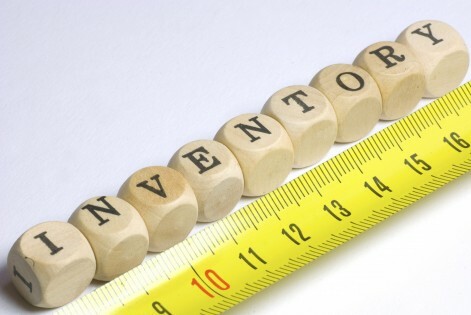 Your challenges can be solved with inventory tracking software. 1. What are your business challenges? Inefficient Operations: When your employees have to take long periods of time to find inventory, either physically in the warehouse, or find information in a stack of spreadsheets, that’s a problem. Time savings is one of the primary purposes to make the switch to inventory tracking software. If you do your homework and choose the right system, you should see a decrease in the amount of time it takes to place orders, receive products, and pick, pack and ship products to customers. Productivity is suffering: If your current operations aren’t working efficiently, it hurts your employees’ ability to get their job done. A key component of inventory tracking software is that it should be easy to learn, so multiple employees can be trained on how to use it at the same time. When you transition to a new system, there’s little downtime. A better trained workforce can save you time and money in the long run, with less calls to customer support, little need for employee supervision and an increase in productivity. When more than one employee knows how to utilize the software, you can spread out inventory management responsibilities, and that equals increased productivity. Not to mention, if one of your inventory workers is out sick or leaves the company, you can quickly replace him or her, with little or no interruption in service. Costs are out of control: As mentioned, inefficiency and unproductive employees costs you time and money. Adopting inventory tracking software will save your business far more money than what you’ll spend up front. Software experts can help you figure the return on investment (ROI), and find your breakeven point, savings start surpass the investment in the inventory tracking software. You might be surprised how quickly it can pay for itself. Data is consistently wrong: Your constant goal should be to have inventory records that are 100% accurate. The best way to do that is by using barcodes. Bryan Harej , inventory analyst for Top Golf, knows how that feels, having relied on Excel spreadsheets before implementing inventory tracking software and hardware components into its operations. An inventory management solution should also integrate with handheld devices or barcode scanners so you aren’t tied to a desktop computer. Mobile technology enables you to update your records from anywhere. You have too much or too little stock: Items collecting dust on a shelf or no stock at all does your business little good. Too much inventory is a waste of money and too little is a missed opportunity. Inventory tracking software helps gather as much information as possible so you are tuned into your inventory needs and can meet customer demand in a timely manner. Forecasting is a nightmare: If inventory records are inaccurate from day to day, then how can you possibly plan for the future? As you improve your data with a new inventory tracking system, your ability to account for trends will also improve. This aspect of the business could present challenges of its own, as forecasting might be foreign to your employees. As a manager, it’s important teach your employees the disciplines associated with business forecasting before letting them handle the software, according to TechTarget. 2. What software features are important to your operations? Product categorization: This feature is essential if your business has to track inventory for hundreds of products, especially similar products like various sizes or nails or the same style of jeans in different colors. Sales/purchase orders: This one is a no-brainer. You want your inventory tracking software to track products from sale to delivery and everything in between. With a proper inventory management system, it’ll accomplish this and adjust automatically as inventory levels change. Barcode scanning integration: To run an efficient operation, you need access to data at your fingertips. Tracking inventory via electronic identification is vital when large volumes of product are being moved. Barcode functionality helps to quickly and efficiently scan items that are received, sold, transferred etc. Dynamic product information: Having immediate knowledge of back-ordered or out-of stock items is extremely valuable. It could be your company’s saving grace because you can plan, order at the right times, and convey these facts to your customers. Improving revenue is the top business challenge in today’s market. 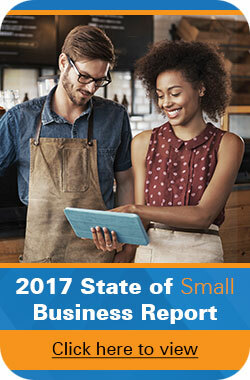 Yet 46% of small and medium sized businesses are still using slow, manual processes to manage inventory or don’t manage it at all. If your business can be counted into that statistic, make a decision today to lower costs, increase productivity and efficiency. In turn you can make a long-term plan for growth! 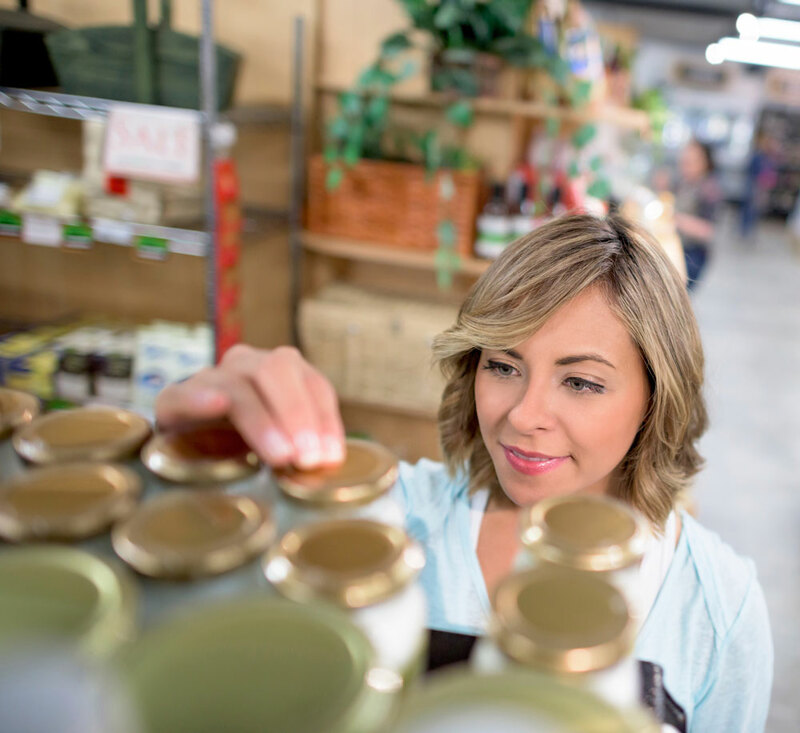 How would choosing the right inventory management system help your business provide customers with a more efficient experience from start to finish?